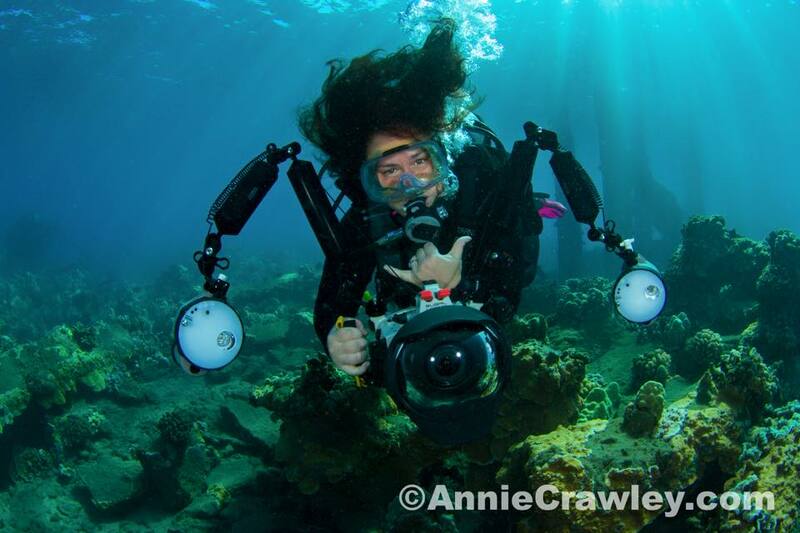 SUST prof Michele Hoffman Trotter in her natural element: filming underwater! 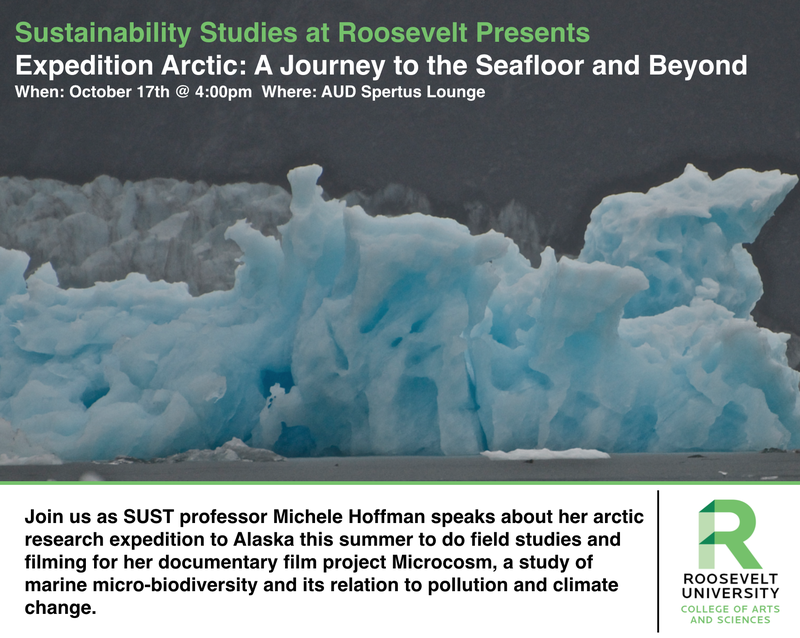 In recognition of October as #CampusSustainabilityMonth, the Sustainability Studies Program will host a presentation by SUST adjunct professor Michele Hoffman Trotter entitled Expedition Arctic: A Journey to the Seafloor and Beyond on Monday, October 17th, 2016, at 4 p.m. at the Chicago Campus (AUD Spertus Lounge). 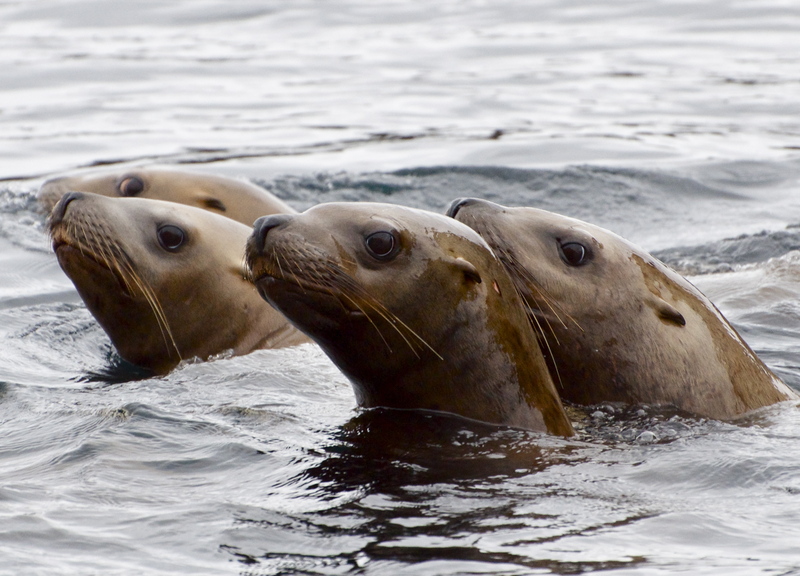 Professor Hoffman Trotter will treat audience members with tales of her arctic research expedition to Alaska this summer to do field research and filming for her documentary film project Microcosm, a study of marine micro-biodiversity and its relation to pollution and climate change. This event is free and open to all members of the Roosevelt community as well as the general public. Visitors should enter RU at 425 S. Wabash Ave and check in with security to receive a visitor’s pass, then proceed to right and up to the 2nd floor of the Auditorium Building and thence to the Spertus Lounge. Light refreshments will be served. RSVP and send any questions to Mike Bryson (mbryson@roosevelt.edu / 312.281.3148), professor and director of Sustainability Studies. Stay tuned to our blog and social media pages as we share exciting and engaging events throughout Campus Sustainability Month at Roosevelt. This entry was posted in biodiversity, climate change, conservation, ecology, events, faculty, Roosevelt, science, water, wildlife. Bookmark the permalink.